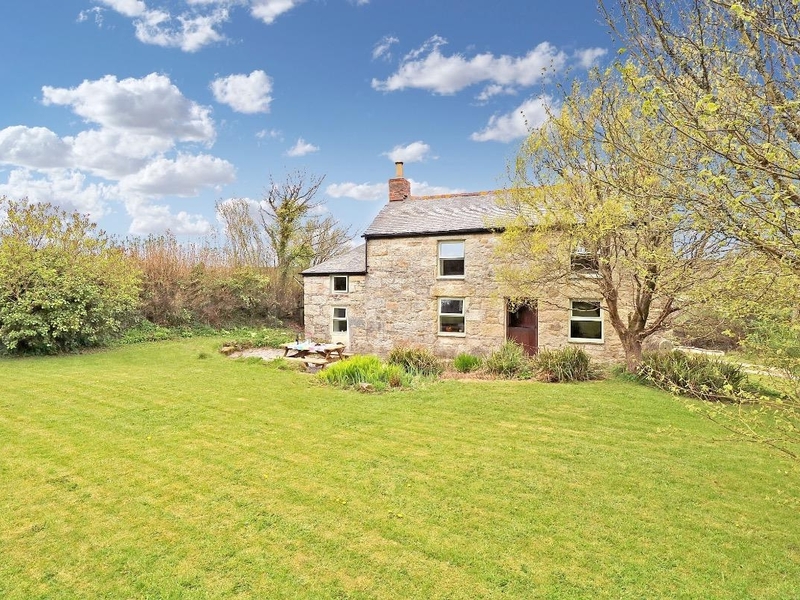 Farm Cottage is a delightful stone cottage, set amidst pretty, Cornish meadows, narrow lanes and granite hedgerows with countryside walks on the doorstep. The cottage can accommodation up to five in three, attractive clutter free bedrooms on the first floor with use of a ground floor bathroom. On the ground floor the accommodation is open plan with a country style modern kitchen with electric oven and Rayburn, a central dining area and cosy sitting area with stone fireplace and woodburning stove. Outside relax in peace and tranquility in the pretty garden furnished with patio table and BBQ. There is plenty of off road parking. Just a short drive to the market town of Helston and the fishing village of Porthleven, Farm Cottage makes the perfect year round base for exploring this region with the coast and countryside on the doorstep. Central heating and woodburning stove. Electric oven and hob, Rayburn, microwave, fridge, freezer, washing machine, TV with Freeview, DVD, CD/radio with speakers and iPhone/Pad connections, WiFi. Fuel, power and starter pack for fire inc. in rent. Bed linen and towels inc. in rent. Ample off road parking. Lawned garden with furniture and BBQ. Sorry, no pets and no smoking. Shop/pub 2.6 miles. Beach 6 miles.